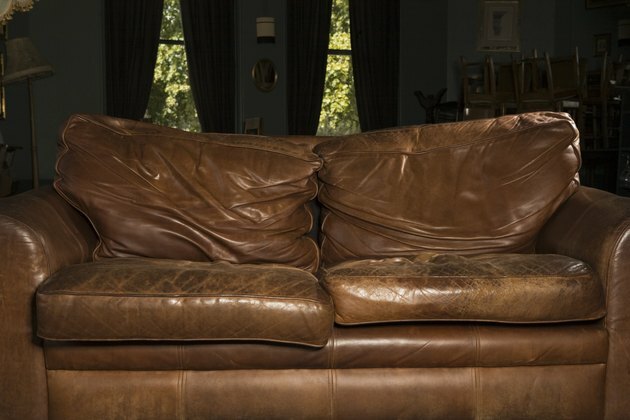 Whether it's a favorite old leather couch or the steering wheel in your car that has seen better days, the surface of well-used leather can feel sticky. 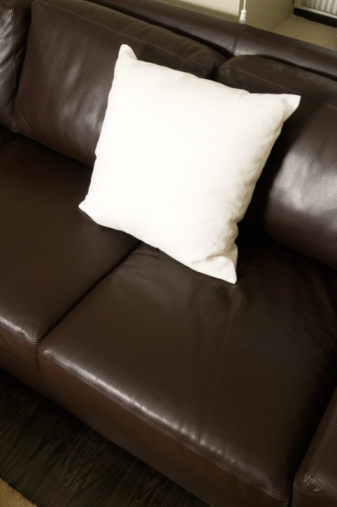 Luckily, you can clean the sticky feel from leather with very little effort or expense. Dust away any excess dirt from the leather's sticky area with the brush, paying careful attention to any creases or folds. Mix your warm water with your dish soap. Dip a cotton swab into the water-soap mix, then rub the swab over the sticky area of the leather. Dip the cotton swab again only if needed, but be careful not wet the leather surface. Dab a washcloth into the water to dampen it, but do not soak it. Wring the cloth out and then work the area of the leather into a lather, pulling any loosened material off the surface. Dampen and wring the second cloth to wipe the lather away, "rinsing" the leather. Inspect the surface to see that the entire sticky feel is gone. If not, repeat Steps 1 through 4 again. If the surface is no longer sticky, proceed to Step 5. Use your third cloth to wipe the leather surface dry and polish it. If the material is still damp, run a hair dryer over the area on low until it appears sufficiently dry.